On the eve of a major constitutional referendum, Turkish prosecutors have launched an investigation into 17 US politicians, bureaucrats and academics in connection with the attempted coup that rocked President Recep Tayyip Erdogan's government last year. Included in the investigation are former CIA Director John Brennan, former CIA Deputy Director David Cohen, and Senate minority leader Chuck Schumer. The officials are accused of collaborating with Turkish resistance groups to overthrow President Erdogan, a Turkish state-run news service reported on Saturday. Also named in the inquiry are Preet Bharara, former US attorney for the Southern District of New York and Henri Barkey, director of the Middle East Program at the Wilson Center. The Chief Public Prosecutor’s Office in Istanbul plans to investigate the individuals’ entry to Turkey, their meetings while there, and any ties to Turkish expatriate Fethullah Gulen and the Gulenist movement he founded. Turkey experienced its bloodiest coup attempt in recorded history on 15 July, 2016, when a subset of the Turkish military drove tanks into the streets and dropped bombs on Istanbul and Ankara. The coup was eventually quelled by President Erdoğan's loyalists, but 241 people were killed and 2,194 injured. The Turkish government blames the attempted coup on Fethullah Gulen, a former supporter of Mr Erdogan who has lived in exile in the United States since 1990. Mr Gulen is a moderate Muslim cleric who engaged in a battle for power with the more conservative Mr Erdogan in 2013. The 17 officials on the list are now suspected of working with Mr Gulen to orchestrate the coup from abroad. In a telephone interview with The Independent, Mr Barkey denied anyone on the list had contacted Mr Gulen in years. Turkish officials, he claimed, launched the investigation to stir up anti-Western sentiment ahead of the county’s constitutional referendum on Sunday. “To have a big indictment of the former head of the CIA, the former US prosecutor from New York, this is one more little reminder to the public that these nasty foreigners are the ones who organised the coup attempt,” Mr Barkey said. Sunday’s referendum could shift the Turkish system of government from parliamentary to presidential, expanding Mr Erdoğan’s power over national security, the judicial system, and more. Critics claim the change would strengthen Mr Erdogan’s increasingly autocratic grip on the country. 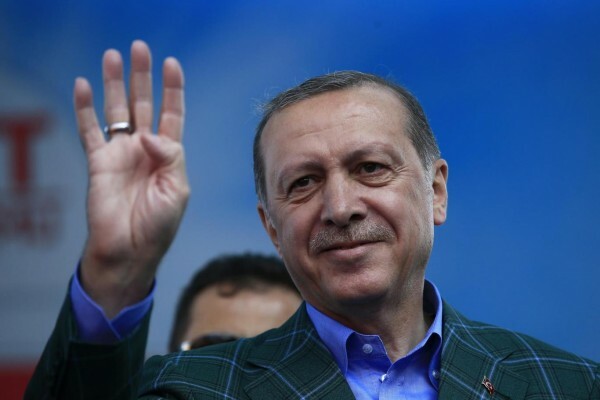 Mr Erdogan has fallen out of favour with the west in recent years for jailing journalists and labelling opposition parties as terrorist organisations. Now, voters who seek to curtail the president's powers say they have received death threats ahead of Sunday's referendum. Surveys from polling company Konda showed a 51 per cent chance of a “yes” vote on Saturday.